Thanks for stopping by my little corner of the internet. I use essential oils everyday and I am constantly amazed at their effectiveness and versatility. But my favorite way to use the oils, and the one I turn to again and again, is diffusing. You might even say I’m a little diffuser-obsessed. I just can’t think of anything better than being surrounded by wonderful smells all day long. 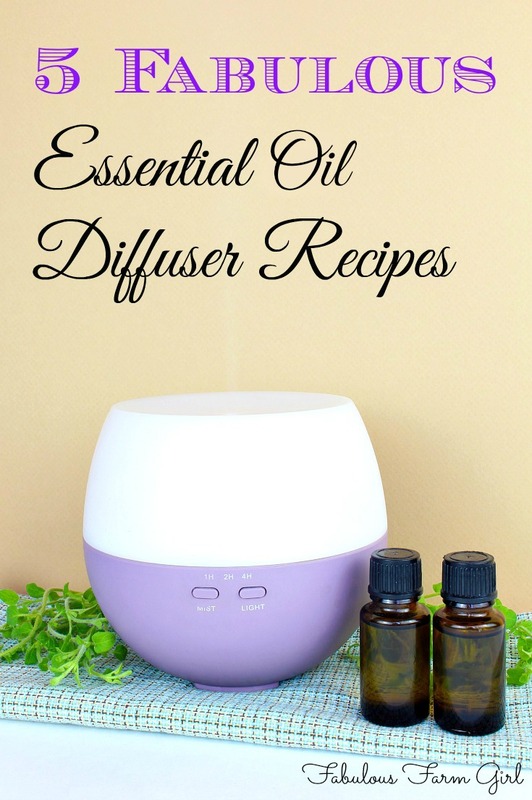 These 5 Fabulous Essential Oil Diffuser Recipes are just a few of my favorite blends and a great jumping-off point for you to discover the powerful effects of diffusing essential oils. This page contains affiliate links which means I may earn a commission if you use them. I only recommend tools that I use and trust. I’m always running one of my (several) diffusers because I love the way it makes my house smell. With three teenage boys and several pets, I need all the help I can get! But there are lots of other great benefits that come from diffusing essential oils around your home. Did I mention that these diffuser recipes will make your house smell fabulous? Oh yeah, baby! There are 2 kinds of people: morning people and people who want to kill morning people. It’s no secret around here that I am not a morning person. Some people might claim that is an understatement. And since I don’t drink coffee or soda, I can’t rely on caffeine to get me going. 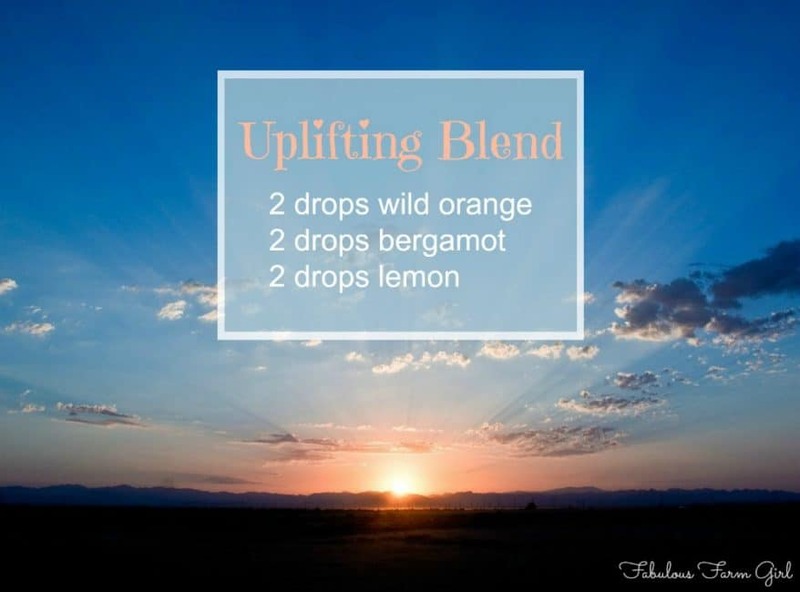 My sweet husband wakes up earlier than me (yes, I married a die-hard morning person) so he often gets the diffuser going with this uplifting essential oil blend. It may be because he’s sweet (which he is) or it may be a method of survival. Either way, it works. Lemon–cleanses and purifies the air, promotes a positive mood and supports cognitive ability. Wild Orange–supports healthy immune function, purifies the air, uplifting to the mind and body. Bergamot–reduces tension and stress, lessens anxious feelings, increases confidence. My house was clean yesterday…sorry you missed it. 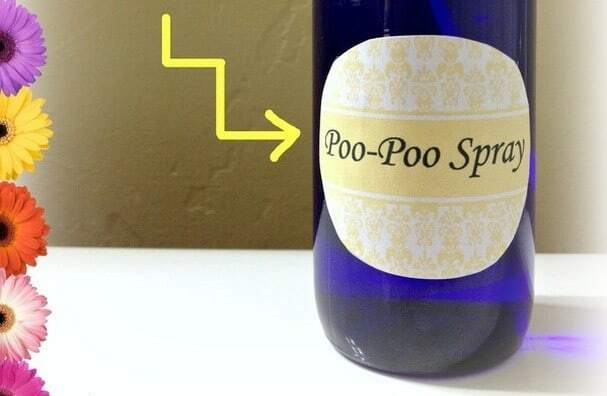 I love the smell of my house right after everyone has cleaned it with my all-natural homemade cleaning products. 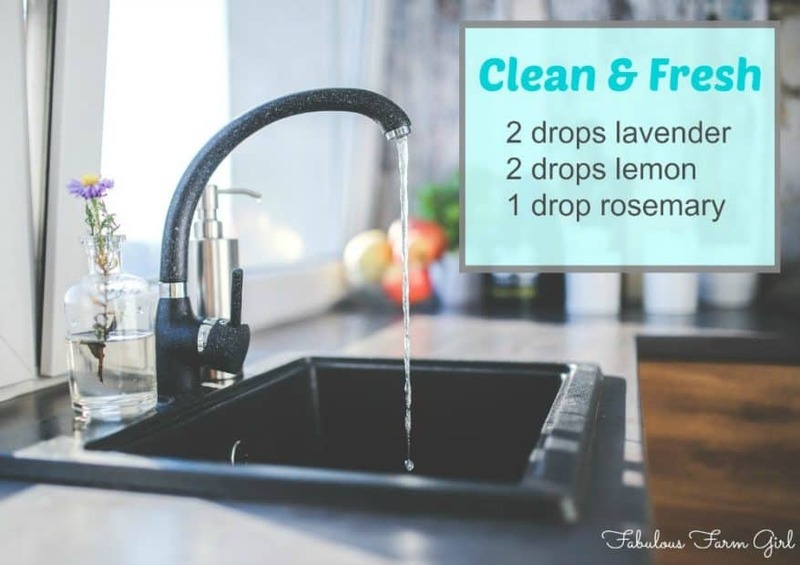 Diffusing this Clean & Fresh blend gives that same “just cleaned” scent without all the scrubbing. Lavender–freshens the air, widely used for its calming and relaxing qualities. Lemon–cleanses and purifies the air, promotes a positive mood. Rosemary–helps reduce nervous tension and fatigue, stimulates the mind. Homework–because 7 hours of school just isn’t enough. Kids seem to get a lot of homework these days. Even when my boys were in kindergarten they were bringing home assignments. What’s up with that? Essential oils to the rescue. 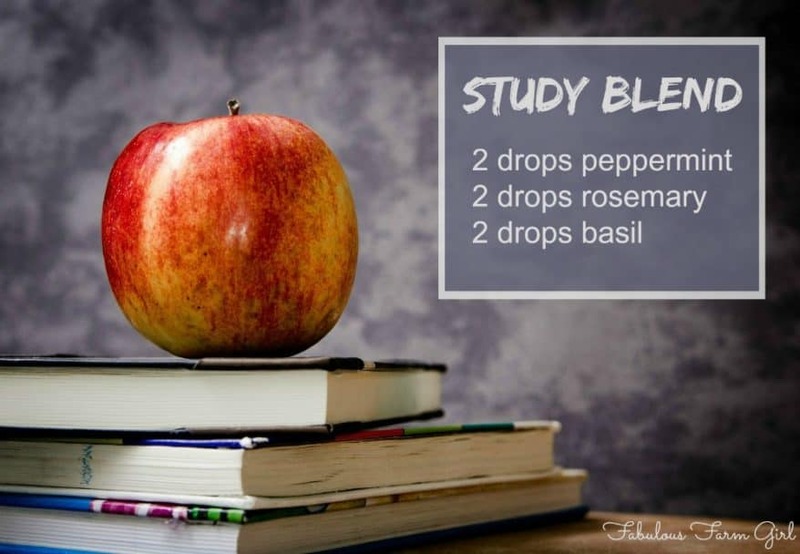 I like to use this study blend diffuser recipe while my kids are doing homework or studying for a test. It’s great for increasing focus and concentration and also improves memory recall. I also use it in the diffuser on my desk when I’m trying to concentrate on writing a blog post. Like right now. Peppermint–promotes healthy respiratory function and clear breathing, non-stimulant, invigorating pick-me-up. Rosemary–improves concentration and memory retention, helps reduce tension and fatigue. Basil–promotes mental alertness and lessens anxious feelings, increases focus and concentration. Two roads diverged in a wood and…oh great, now I’m lost. 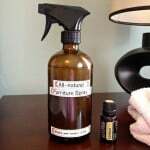 This is a wonderful blend that I like to diffuse, especially in the colder months. It smells like a cup of hot cider and makes me feel all warm and cozy. 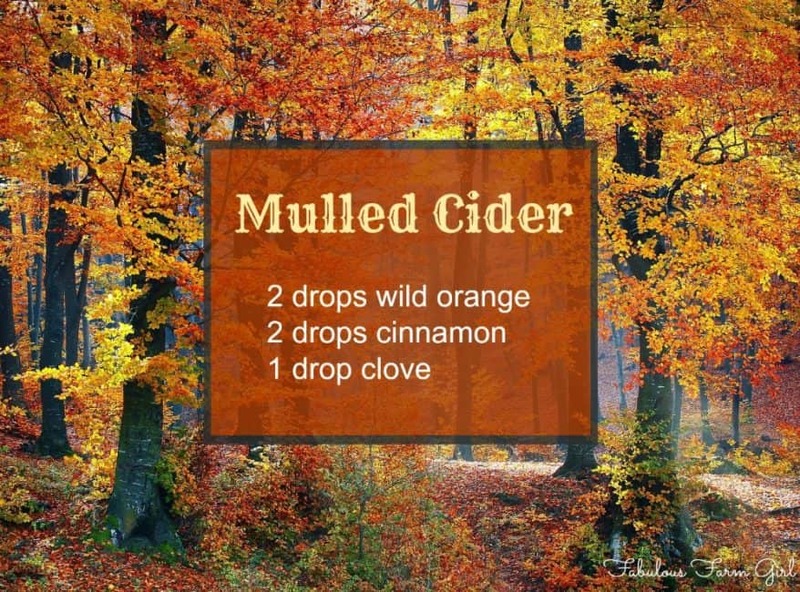 This would be a perfect blend to diffuse at your holiday parties and get-togethers. Cinnamon–supports healthy immune function, promotes feelings of warmth and well-being. Bed–a magical place where I suddenly remember everything I forgot to do. The time between dinner and bedtime is what we lovingly refer to around here as “the witching hour”. Sometimes certain people are tired and cranky and sometimes certain people are wild and crazy. I won’t name names but they know who they are. Actually they probably don’t, come to think of it, because denial is one of the hallmarks of the witching hour. That’s why I love my bedtime blend diffuser recipe. 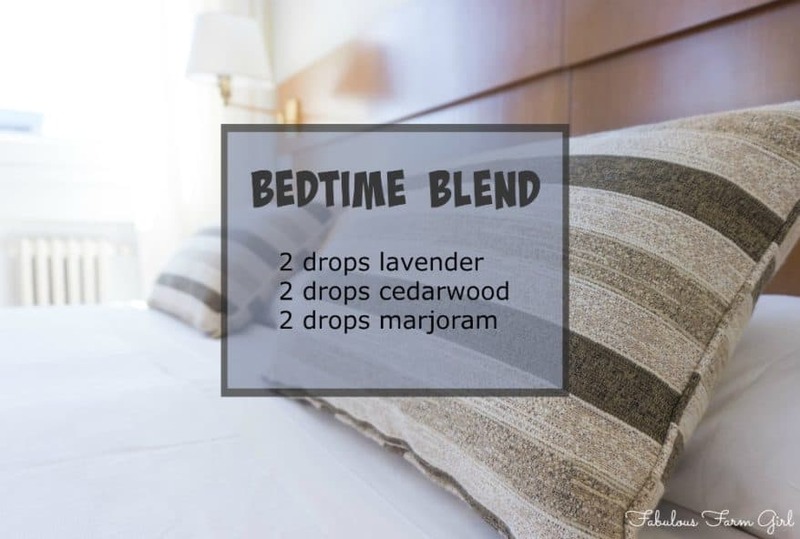 It’s great to diffuse in the hours before bed and also great to diffuse on a bedside table for a good night’s sleep. Lavender–widely used for its calming and relaxing properties, eases muscle tension. Cedarwood–supports healthy respiratory function, evokes feeling of wellness and relaxation. Marjoram–valued for its calming properties and positive effect on the nervous system, supports a healthy respiratory system. So that’s what teen spirit smells like. Got it. I know, I know, I already gave you five of my favorite diffuser recipes. But just because I like you I’m throwing in farm kid #2’s favorite blend as well. 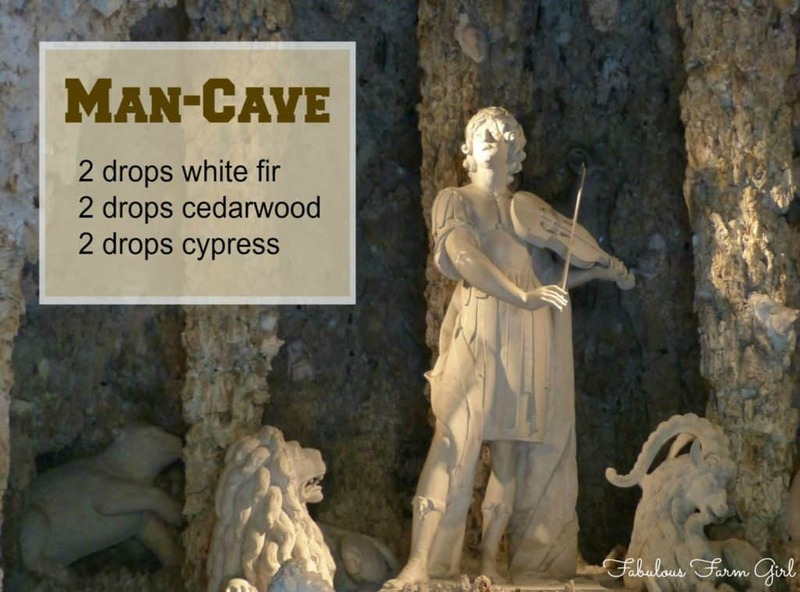 It’s called Man-Cave because he loves to diffuse it in his bedroom which is down in the basement, has very little light, is abnormally cold (he likes it that way) and really does feel like a cave. His favorite blend smells very woodsy which adds to the “I live by myself in a cave in the woods” ambiance I guess he’s going for. That’s fine with me because his woodsy man-cave smell is wonderful and I’ll take that over “smells like teen spirit” any day! (Sorry Nirvana fans). White Fir–supports clear breathing and respiratory function, energizes the body and mind. Cedarwood–evokes feelings of wellness and vitality, relaxing and soothing aroma. Cyprus–supports healthy respiratory function, promotes vitality and energy. So there you have it, my favorite diffuser blends to diffuse throughout the day. If you have a favorite blend of your own please leave it in the comments. Stopping by from the SITS Girls, have a great weekend! This might be a stupid question but how much water do you add? My diffuser uses water and essential oils. Hi Amanda–there are no stupid questions here. 🙂 Every EO diffuser is different but they all have a mark inside the chamber that indicates how much water to put in. Just fill to that line with water and then add the EOs in the recipe. Have a great day and happy diffusing! THANK YOU for sharing your recipes. I’m just getting started with diffusing essential oils. I’m excited to give these a try. My husband has trouble sleeping so very excited about your night time blend. You’re welcome Sherie! Diffusing is such a powerful way to use essential oils. Great job getting on the EO train! These are great!! I use Lemon, Wild Orange, Grapefruit, and Purify for the extra “stinky” days where all 3 of my still at home teenage sons are lounging and the dogs and cats are all hanging out with them. 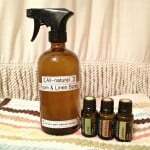 I add Elevation and Citrus Blend to my kitchen diffuser as I’m doing dishes and floors (cleaned with Lemon EO, white vineagar, water). My Stress Relief Blend for “THOSE” days is Balance, Lavender, Clary Sage, and Ylang Ylang. I love finding new combinations! What a helpful collection- just what I was looking for! I’m brand new to diffusing and EO and have just used an equal amount of lavender and lemon (which smells so much better than the Yankee blend do me!). Question about switching throughout the day- my diffuser lasts for hours. Do you dump the leftover water/EO blend when switching or just use half the water? If reducing water, I assume the EO amounts stay the same because you just want it to run for less time? Do you have to clean it before switching blends? Thanks for helping a newbie! I’m thinking about getting a diffuser for each bedroom if this goes well. Hi Kristie–thanks for your questions. My diffusers lasts for hours too so as a practice I just let them run till their out. I don’t want to waste the oils by dumping any out and I love all the different blends so I’m happy with whatever is in there. If you reduce the water you can reduce the oils accordingly, especially if you’re trying to conserve your oils. You could use the same amount of oil if you want and it might create a stronger smell but I’ve never tried it. Personally I always fill them up all the way so I can just set it and forget it. You do not have to clean before switching blends (thank goodness!). I go for weeks before cleaning and you’ll know it’s time when your diffuser stops putting out very much vapor. Oh and I highly recommend getting one for each bedroom! Enjoy! is there a difference between orange and wild orange? Hi Tari–nope, no difference. It depends on what brand of EO you use and my favorite brand calls it wild orange. Thanks for stopping by! Hi Elizabeth–thanks for your question. You can replace the marjoram with any of the oils known for their calming properties. I would recommend roman chamomile, vetiver, ylang ylang, patchouli or sandalwood. Don’t be afraid to experiment and find a combo that works for you (and has a smell you love). Have a great day! Im definitely trying your study blend. I didn’t know there was a blend for studying/concentrating!! have only used essential oils for relaxation and setting the mood. I use a nebulizer from http://www.richaromas.com it’s different from the ultrasonic ones uses no heat or water. Hi Kimberly–I wish I’d known about peppermint and rosemary when I was in college. I sure could have used the help. LOL! Quick question. How is it that some of the other people posting on here actually have their image along with their comments? I tried to register on your blog but couldn’t find a link? I love reading all your information!!! You sound like a really nice person it is so nice that you share your ideas…. Greetings from Idaho! I’m bored to death at work so I decided to browse your site on my iphone during lunch break. .. I’m not even using WIFI, just 3G .. Anyhow, wonderful blog! What type of oils do you use? 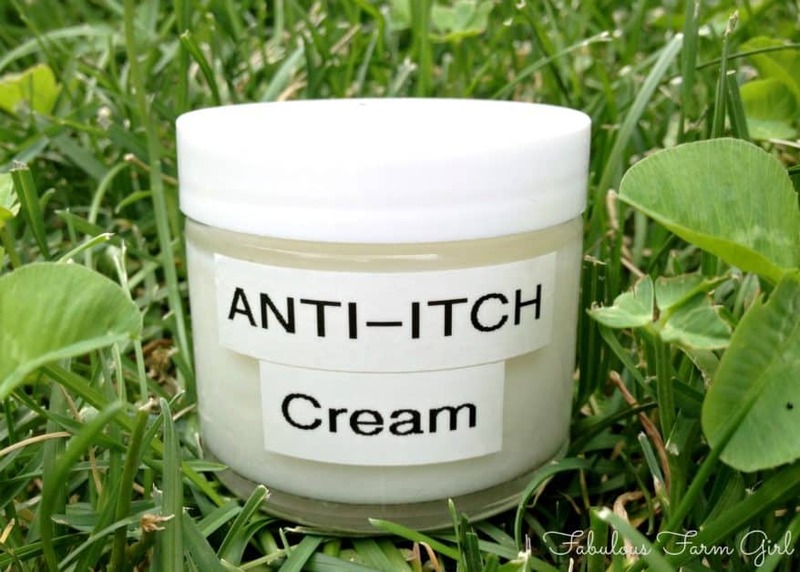 And which blend do you use to rub on bottom of feet at night for immune system? Hi Cheryl–if you’d like to know what brand of essential oils I use you can email me directly at fabulousfarmgirl@gmail.com. The EO blend My family rubs on our feet every night is called Protective Blend and it is amazing! Email me directly if you’d like more information. Have a great day! Your 5 blends sound nice. What are the ratis (how many drops of each oil) to water ratio? I know to much of one over the other can sometimes make it stink as I have found. 🙁 I hate to waste my oils so much so I look to others for exact ratios. Love your site. I have a similar question. If you have a larger diffuser, say 300 ml, wouldn’t you use more drops of EO than you would in a diffuser half that size? I’m brand new to this and I’m trying to figure out a good oil to water ratio. Thanks ? My diffuser doesn’t seem to release any vapor anymore. How do I clean it? Hi Rosalyn–essential oil diffusers do need to be cleaned regularly and if little or no more vapor is coming out then that is a sure sign. Fill the water reservoir with about an inch of white vinegar and an inch of water. Let it sit for about 20 minutes. Get a q-tip and, while the vinegar mix is still in it, run it around the sides and bottom of the water well focusing on the circular indent on the bottom. Drain and rinse and you should be back in business. Hope that helps! I’m glad to find this– I’ll give it a try. The manufacturer of the diffusers I have suggested cleaning out the water reservoir and well areas with a small amount of rubbing alcohol. It removed the build-up very well, but the diffuser has a slight medicine-y smell now. I’ll give the vinegar treatment a shot and see if that knocks it out! Vinegar can do a lot! good internet hosting provider at a fair price? Thanks a lot, I appreciate it! Thanks for the study blend. I am 50 and taking a 9 month course for bible study. Been a while since I had to concentrate this much. This is great! Thanks for this post! It really narrowed it down for me. I want to go for a nebulizer to get the maximum therapeutic benefits I found similar to the one you listed. You don’t say how much water to add to diffuser. I have no idea since I just ordered a larger one that holds more water. Looking back at the comments I found the answer to my question about the ratio of oils to water in a large diffuser. I should have paid more attention. I’m new to this. Awesome Bonnie and you’re so welcome! I’m new to diffusers and I’m looking for a scent that would be like clean air or a beachy fragrance, fresh air, sand, waves, clean. I’m having a hard time finding something like this, maybe I’m setting myself up for disappointment. Same! Same! I miss the beachy and clean laundry scents from all the candles I used to purchase…wish I could somehow find those in EO. I was wondering how much of the study blend to use in a roller ball versus diffusing? Thanks so much for your lovely blog. I would like to make use of some of your recipes but am a complete novice at diffuser-oils. I always used to buy them but want to make them myself. Please treat me like a 8-year old and explain to me what the base-oil would be before i add all the aromatic oils. Hey Annelize– If you’re talking about using oils in the diffuser, you really just need to add the oils directly into the water. You don’t need a carrier oil when you use a diffuser unless your diffuser instructions specifically say that you do. I put the water in (my diffuser recommends warm water), drop in the oils, and let it go. Hope that helps. Any tips for using reed diffusers? Same combinations? 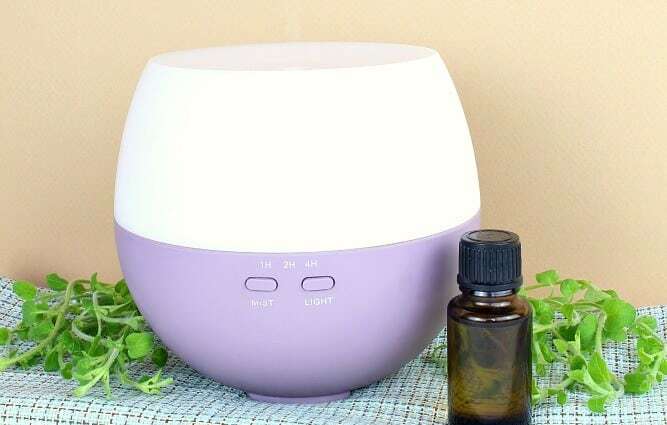 This is Holly from Crearoma Tech（HK）Limited,which provide high-quality aroma diffuser for customers.More details please visit: http://www.crearoma.com . We own a excellent R&D team,unparalleled branding capability and our own factory.We can provide you unique designs and logo printing. Please do not hesitate to contact me if you have any interest in our products. Hope to establish long-term business relations with you in the near future. I have to tell you I am LOVING your site!! I too use doTERRA oils and love them! Thanks for all the great ideas and recipes! I just got my first diffuser yesterday and was curious as to whether or not you can use more drops, ie 2 drops of this and 2 drops of that…seems very weak. 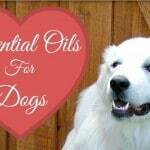 Would I be breaking any rules if more drops were added to create a stronger scent? Hi tgere, I was wondering if you have a recipe that smells like coffee. I love the smell of a good coffee aroma in my kitchen in the morning. How long are the diffuser blends supposed to last and how much water is it mixed with? I have a 600ml diffuser and have found even upping simple recipes like the lemon, lavender, rosemary to 10 drops each will give scent for a while but hours later seems to just be giving off mist. Now I should also state this is in a BIG room with high ceilings. OMG. After reading the first few paragraphs of your post, I found that “OK, I’ll try this recipe”. However, after reading the entire article. I think it’s better to try them all. Your writing is fascinating. Thanks for the great article. I just found your web page and hope you might be able to help me. My son suffers from large adenoids which give him crazy headaches. We are trying to avoid them being removed but also don’t want him on constant inhalers. Would you have a diffuser recipe that I could try? Anything is worth a go. Where do you purchase your oils? I am completely new to oils/diffusers. Could I have one diffuser in my den and another in my bedroom for night time or would that mess up the smells? I’d like to use my plug in wax melt burner with essential oils instead of the store bought wax melts that are way too fake smelling for me. Do you have any suggestions on the best way to do this?